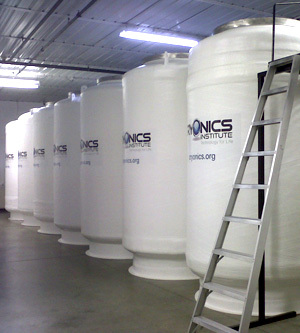 Welcome to Cryonics Institute, a world leader in cryonics research, technology and applications. The Cryonics Institute is a non-profit membership organization made up of people seeking to pursue cryonics' "Prospect of Immortality" for themselves and their families. Our objective is not profit, but to help our members who choose cryopreservation to have an opportunity live again to see a brighter future. With over 150 patients currently in cryostasis, we recognize the responsibility we have to not only maintain, but to eventually revive our patients when and if that becomes scientifically possible. This is the driving force that guides every decision we make. We want cryonics to work and we are dedicated to achieving that singular goal. 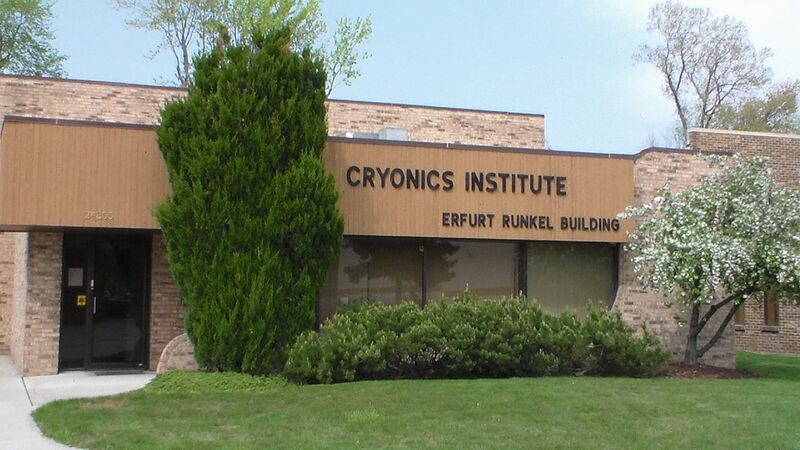 The Cryonics Institute was founded in 1976 by Robert Ettinger, "The Father of Cryonics." CI's goal from the beginning has been to offer the best available cryonics services to the public at an affordable cost. Since our founding, CI has been a leading force in the cryonics movement, advancing research, education and public awareness. CI hosts an active and engaged community of more than 1,100 members world-wide. We are governed by a Board of Directors, elected from our membership for three-year terms in groups of four every September. The Board is responsible for all aspects of the organization's governance, thus CI is wholly owned and operated by our membership. Our goal is to continuously advance the theory and refine the practice of cryonics, operating in the best interests of our members and the worldwide cryonics movement. Please note, memberships do not require cryopreservation contracts or funding. However ONLY funded members can take advantage of CI's cryopreservation services, and only funded members may vote and serve on CI's Board. 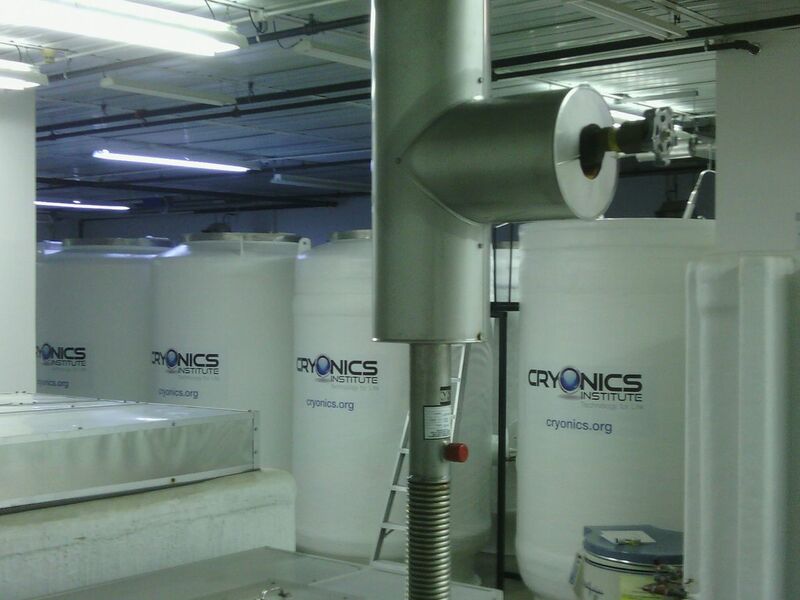 The Cryonics Institute owns and operates a fully-operational Cryonics facility located in Clinton Township, MI. The facility is housed in the 7,000 square foot Erfurt Runkel Building, named after John Erfurt and Walter Runkel, two of our long-time officers who are now patients in cryostasis at the facility. CI currently maintains over 100 patients in cryostasis at this facility, which has been operating successfully since our first patient, Rhea Ettinger was preserved in 1977. For more in-depth information, please see the topics below. We have a proven track record of financial security and stability, as well as price stability. CI is the only cryonics organization with no debt, no stockholders, and no landlords. We own our patient care facilities outright, and all of our member officers and directors donate their services voluntarily. We're one of the oldest cryonics organizations in existence -- and the only such organization that has never raised its prices, even in high-inflation times like the late 70s and early 80s. Adjusting for inflation, our prices have actually steadily declined, and we hope to continue that trend. As members, each and every one of us has a vested interest in the long-term viability of our organization - our facilities, cryostats and finances are built to last into the future we're striving toward. We have a flexible and rapid system of emergency patient care based on widely available networks of mortuary assistance. This means that in the critical early stages, we can bring qualified professionals to you throughout most of the world. In particular, London-based F.A. Albin & Sons funeral directors are trained, practiced, equipped, and prepared to fly a team anywhere in Europe on short notice to help European CI members, tourists or business travellers. Our prices are lower than any other organization — in fact, the most affordable prices anywhere in the world. This is in keeping with our membership philosophy to provide ourselves reliable cryonic services at a reasonable and affordable cost. If we were to raise prices, we'd only be charging ourselves more. Does that lower fee mean lower quality patient care or services? Absolutely not. We believe that our non-profit status allows us to more successfully control costs. We believe that specific methods and research offered by alternative cryonics organizations differ only slightly from ours and that our procedures and policies give an equal or better chance for patient survival than competing organizations. See for yourself. Read our FAQ and review "The CI Advantage." Remember, many CI members could afford the higher prices of other organizations for themselves and their families, but we've chosen CI — because we know it's our best bet. And yours. With over 1,000 international members and growing, CI is one of the largest cryonics organizations in the world. Details on joining the Cryonics Institute. We offer Annual (yearly) or Lifetime Membership options. Please note, ONLY members are eligible for the cryonics services provided by CI. The Cryonics Institute (CI) welcomes those living outside the United States to join us as as Members. We offer human cryopreservation, pet cryopreservation and tissue/DNA cryopreservation to CI Members around the world. Details on CI's worldwide membership, including a breakdown by Country. 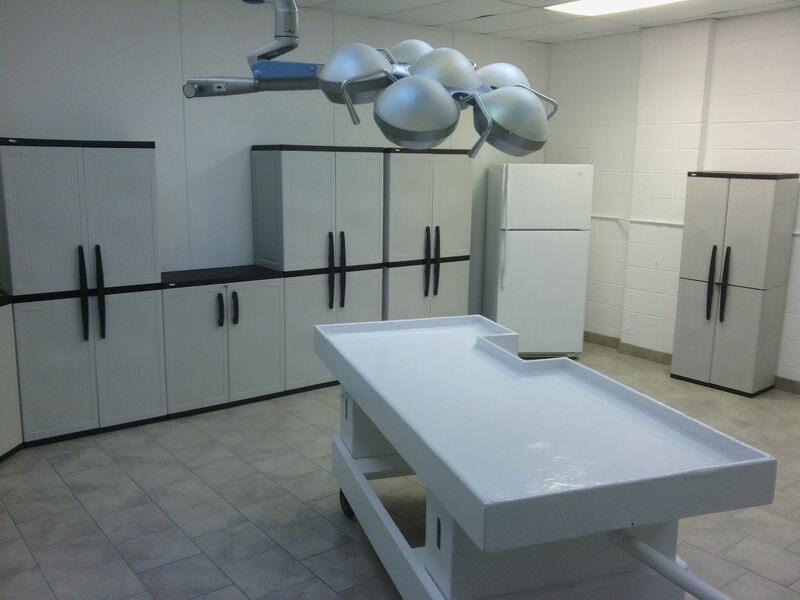 A complete listing of patients curently in cryopreservation at CI's Michigan facility. CI's premier service is human cryopreservation, using state-of-the-art techniques and equipment to ensure optimal suspensions. CI only performs full-body suspensions, and at a fraction of the cost of other companies' "Neuro" (head only) suspensions. CI also offers DNA Preservation as a simpler and more economical cryopreservation option for members. Life-extension possibilities for beloved pets. Secure perpetual storage for essential personal documents and keepsakes. Optional Standby Service through Suspended Animation, Inc. Third-Party Standby, Stabilization and Transport services are available to CI Members through an arrangement with SA inc.
Cryonics emergency necklaces and/or bracelets are available for Cryonics Institute (CI) Members who have made all the necessary arrangements to be cryopreserved by CI. These items include important information to help expedite local help in a cryonics emergency. You may be surprised! Funding a quality cryonic suspension with the Cryonics Institute is far more affordable than most people realize, and by far the most affordable cryostasis service in the industry. Read More to learn about our funding options for cryostasis services. CI's state-of-the-art equipment ensures optimal cryonic suspensions. Learn more about CI's state-of-the-art cryonic suspension procedures with this step-by-step outline of the process. The Cryonics Institute is a Non-Profit Cooperative membership organization in which the members work together for mutual benefit, with the welfare of patients and prospective patients our first concern. Please see our extensive Resources Library for a deeper look into Cryonics and the Cryonics Institute. The library includes sample forms, internet links, equipment and procedure details and much more.